In the last few years we've recognized that a startup is not a smaller version of a large company. We're now learning that companies are not larger versions of startups. There's been lots written about how companies need to be more innovative, but very little on what stops them from doing so. Companies looking to be innovative face a conundrum: Every policy and procedure that makes them efficient execution machines stifles innovation. This first post will describe some of the structural problems companies have; follow-on posts will offer some solutions. Facing continuous disruption from globalization, China, the Internet, the diminished power of brands, and the changing workforce, existing enterprises are establishing corporate innovation groups. These groups are adapting or adopting the practices of startups and accelerators--disruption and innovation rather than direct competition, customer development versus more product features, agility and speed versus lowest cost. But paradoxically, in spite of their seemingly endless resources, innovation inside of an existing company is much harder than inside a startup. For most companies it feels like innovation can only happen by exception and heroic efforts, not by design. The question is: Why? 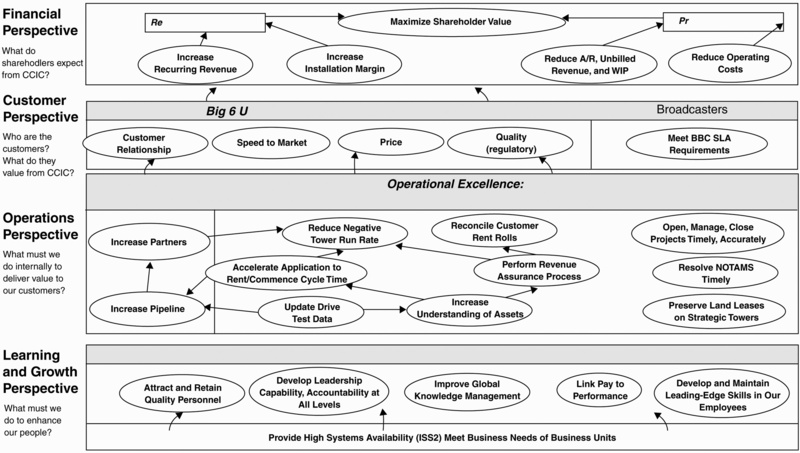 A company is a permanent organization designed to execute a repeatable and scalable business model. Once you understand that existing companies are designed to execute, then you can see why they have a hard time with continuous and disruptive innovation. Every large company, whether it can articulate it or not, is executing a proven business model. A business model guides an organization to create and deliver products/services and make money from them. It describes the product/service, who is it for, what channel sells/delivers it, how demand is created, how does the company make money, and so on. Somewhere in the dim past of the company, it too was a startup searching for a business model. But now, as the business model is repeatable and scalable, most employees take the business model as a given, and instead focus on the execution of the model--what is it they are supposed to do every day when they come to work. They measure their success on metrics that reflect success in execution, and they reward execution. It's worth looking at the tools companies have to support successful execution and explain why these same execution policies and processes have become impediments and are antithetical to continuous innovation. 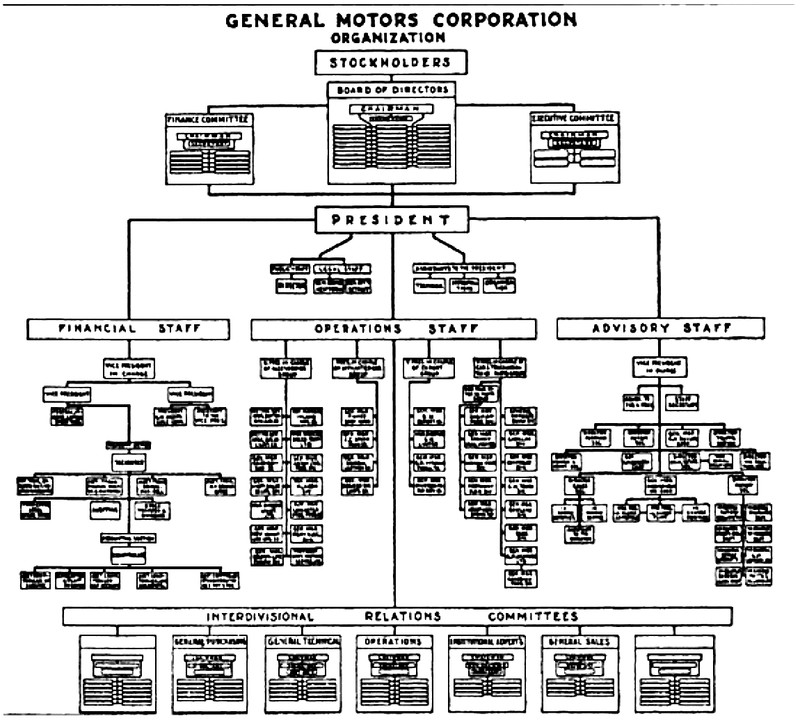 In the 20th century, business schools and consulting firms developed an amazing management stack to assist companies to execute. These tools brought clarity to corporate strategy and product line extension strategies, and made product management a repeatable process. 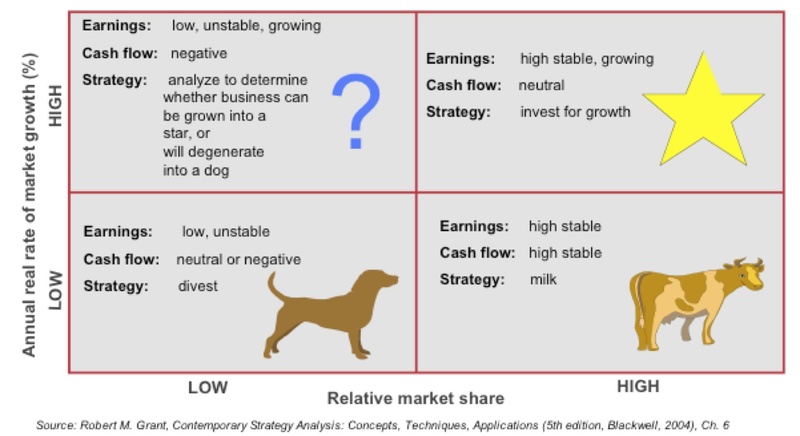 For example, the Boston Consulting Group 2 x 2 growth-share matrix was an easy-to-understand strategy tool--a market selection matrix for companies looking for growth opportunities. Strategy Maps are a visualization tool to translate strategy into specific actions and objectives, and to measure the progress of how the strategy gets implemented. Product management tools like Stage-Gate® emerged to systematically manage Waterfall product development. The product management process assumes that product/market fit is known, and the products can get spec’d and then implemented in a linear fashion. Strategy becomes visible in a company when you draw the structure to execute the strategy. The most visible symbol of execution is the organization chart. It represents where employees fit in an execution hierarchy; showing command and control hierarchies--who's responsible, what they are responsible for, who they manage below them, and who they report to above them. All these tools (strategy, product management, and organizational structures) have an underlying assumption. That is, that the business model--which features customers want, who the customer is, what channel sells/delivers the product or service, how demand is created, how the company makes money, etc.--is known, and that all the company needed is a systematic process for execution. Once the business model is known, the company organizes around that goal. It measures efforts to reach the goal, and seeks the most efficient ways to do so. This systematic process of execution needs to be repeatable and scalable throughout a large organization by employees with a range of skills and competencies. Staff functions in finance, human resources, legal departments, and business units developed Key Performance Indicators, processes, procedures, and goals to measure, control and execute. Paradoxically, these very KPIs and processes, which make companies efficient, are the root cause of corporations' inability to be agile, responsive innovators. This is a big idea. Finance: The goals for public companies are driven primarily by financial Key Performance Indicators (KPI's). 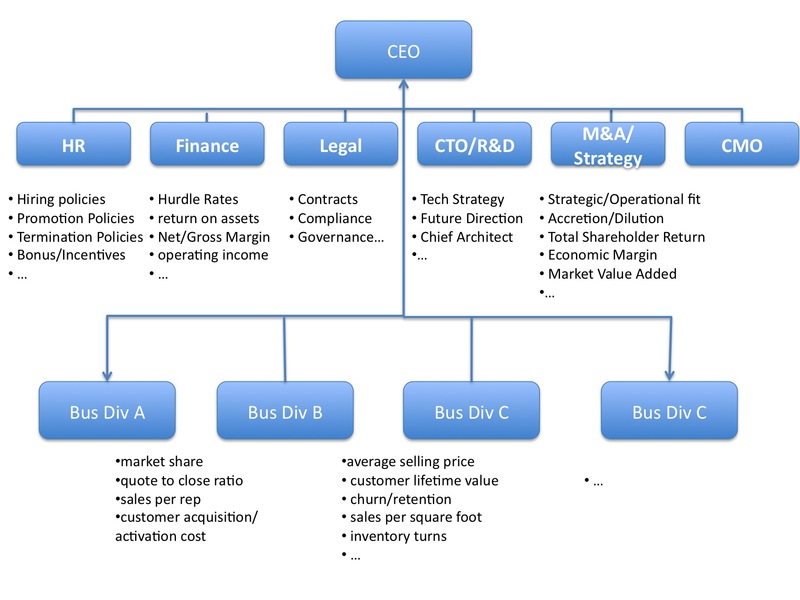 They include: return on net assets (RONA), return on capital deployed, internal rate of return (IRR), net/gross margins, earnings per share, marginal cost/revenue, debt/equity, EBIDA, price earning ratio, operating income, net revenue per employee, working capital, debt to equity ratio, acid test, accounts receivable/payable turnover, asset utilization, loan loss reserves, minimum acceptable rate of return, etc. HR Process: Historically, human resources was responsible for recruiting, retaining, and removing employees to execute known business functions with known job specs. One of the least obvious but most important HR Process issues--and ultimately the most contentious--in corporate innovation is the difference in incentives. The incentive system for a company focused on execution is driven by the goal of meeting and exceeding "the (quarterly/yearly) plan." Sales teams are commission-based; executive compensation is based on EPS, revenue, and margin; business units on revenue and margin contribution, etc. Every time another execution process is added, corporate innovation dies a little more. Innovation is chaotic, messy and uncertain. It needs radically different tools for measurement and control. It needs the tools and processes pioneered in Lean Startups. While companies intellectually understand innovation, they don't really know how to build innovation into their culture, or how to measure its progress. It may be that the current attempts to build corporate innovation are starting at the wrong end of the problem. While it's fashionable to build corporate incubators, there's little evidence that they deliver more than "innovation theater." Because internal culture applies execution measures/performance indicators to the output of these incubators and allocates resources to them the same way as to executing parts of company. Corporations that want to build continuous innovation realize that innovation happens not by exception but as integral to all parts of the corporation. To do so they will realize that a company needs innovation KPIs, policies, processes and incentives. (Our Investment Readiness Level is just one of those metrics.) These enable innovation to occur as an integral and parallel process to execution. By design, not by exception. We'll have more to say about this in future posts.